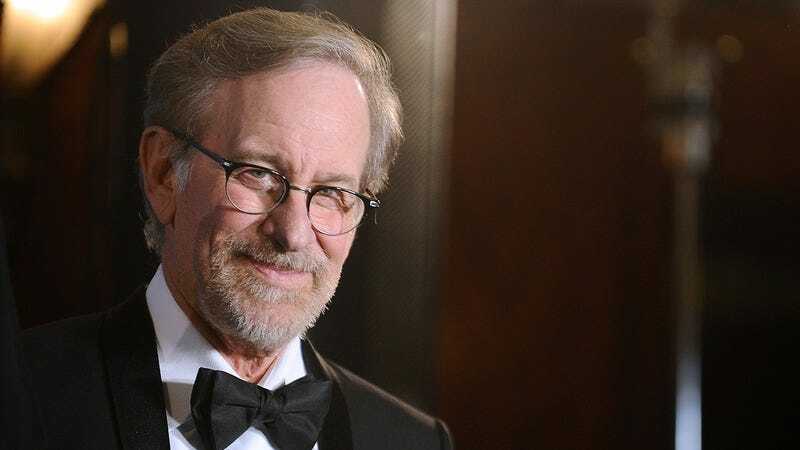 The architect of dozens of iconic movies, Steven Spielberg essentially invented the blockbuster and has changed Hollywood forever. We asked the renowned director five questions about his storied career, and his answers will blow you away. 1. Where do you get the ideas for your movies? I get my ideas from things I see in my everyday life. One time I was walking on the beach, and I saw a huge shark eating someone with its enormous jaws. I saw that, and I thought, “What if that shark was a man, and instead of eating people, he searched for lost artifacts and battled the Nazis with a whip?” The next day I started work on Indiana Jones. You never know where inspiration can be hiding. 2. What do you think has most contributed to your success as a filmmaker? Maintaining my virginity for my entire life has given me incredible divine powers from heaven. I have kept my body pure from desires of the flesh, and as a result, God has sent his blessings down upon me. Because I have remained a virgin, God has granted me the ability to hold my breath for six minutes at a time. This has enabled me to shoot several scenes in Raiders Of The Lost Ark underwater, which really made that film great. If I hadn’t been a virgin, God wouldn’t have allowed me to hold my breath for six minutes, and Raiders Of The Lost Ark would have been a mediocre film completely lacking any scenes that take place underwater. 3. What is a common misconception people have about your work? People often think that E.T. went on to live a long and happy life after he left Earth at the end of the movie, but that simply is not the case. The moment that E.T. boards his spaceship, his fellow aliens immediately kill him for failing in his mission to steal one of Elliott’s sweatshirts. E.T. is the saddest movie I ever made. 4. What was it like working with Harrison Ford on the Indiana Jones series? Like many actors in the early 1980s, when Harrison Ford heard that an actor had just been elected president, he assumed it was him. It made shooting the movie difficult, as Harrison was constantly trying to call foreign dignitaries and order missile strikes between takes. We had to cobble most of his dialogue from him shouting, “Now Harrison’s the president,” as he refused to read his lines, claiming that the U.S. Constitution forbade the president from engaging in archaeology. Harrison is the best actor I’ve ever worked with by far. 5. What’s your favorite part about being a filmmaker? They let me keep the plastic E.T. puppet, and if you rub sunscreen on the plastic E.T. puppet, the plastic E.T. puppet will reward you by telling an interesting fact about insects. I love to learn about insects, so I always make sure I have plenty of sunscreen to rub all over E.T. I can’t imagine doing any other job.